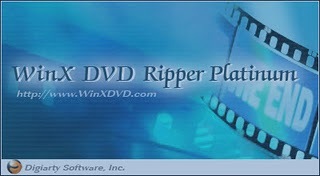 WinX DVD ripper is all in one DVD backup and converter solution for Windows . It can rip DVD movies and convert them to any of the formats including AVI , MP4,MPEG,WMV,FLV , PSP ,iPhone ,3GP and Zune . Like Daniusoft DVD Audio Ripper , it can also extract audio audio files from DVD movies . This edition supports almost all kind of DVD media including normal ,Sony ArccOS DVDs and CSS protected DVDs movies .The original price of WinX DVD ripper platinum is around 25 USD . But here you can download the full version of the application as a part of promotional offer . There is no freeware that can backup DVD movies into such a variety of formats .So download WinX DVD ripper before the offer ends on 30th of this month . Download WinX DVD ripper platinum full version . This special edition doesn’t require any serial number or activation code . Download and proceed with installation . The applications uses a well designed user interface .So in operation , just specify the DVD movie location , select format and click on convert button . Further you have the option to customize the audio and video properties like quality ,volume ,aspect ratio ,frame rate and resolution . Updated: WinX HD Video Converter is now available with free registration code. Computer crased not able to re-install winx without purchasing again. I have the activation numbers but cant find way to use them. Can someone help me reinstall full version and not pay twice?